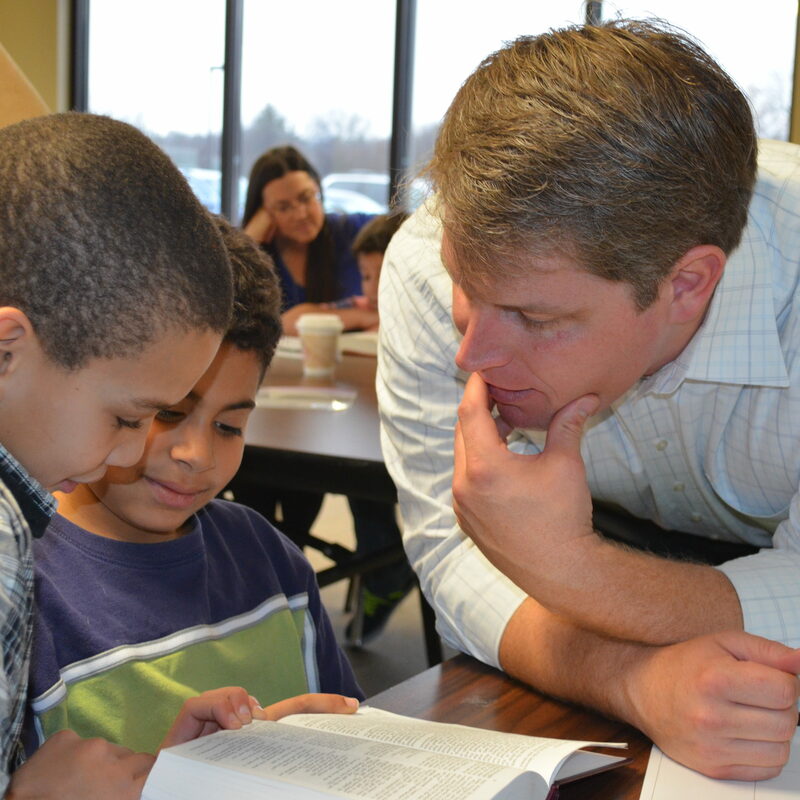 Brian Davies is a regular guy, a dad, who loves his kids, football, and loves the Lord. If you met him at say, a wine tasting, or one of his kid’s sporting or school events, you would find a man full of life. A life led by God, a life with God; one that enjoys ESPN zone, family vacations, a good meal, chocolate chip cookies, and a long walk in the park. A life where he passionately teaches the love of God. Brian leads both our Sunday morning services and teaches whenever he can through the week, spending time with our students on Wednesday evenings, as well as leading Bible study for Seniors at Saddlebrook Farms. Pastor Brian was born and raised in Delmar, New York by a loving, devoted family. He pursued a Communications degree at Concordia University in River Forest, IL followed by 4 years at the Concordia Seminary in St. Louis, MO. He spent his first few years out of Seminary as Associate Pastor at St. Peter Lutheran Church in Macomb, MI. Brian came to Lord of Glory in 2009. He is married to his college sweetheart, Beth of 14 years. They have 3 children; Kate, Megan and Luke. They live in the heart of Grayslake, love their community and spend a great deal of time in it. Beth serves as a Trustee within the Village of Grayslake. Beth is a stay at home mom and enjoys every minute. She received her degree in Secondary Education at Concordia, River Forest. Beth enjoys all that summer brings, teaching, softball, vacationing and family. Michael received his musical ability as a gift from God—there is no question. And he is using it to glorify God every Sunday at the 10:30 a.m. service. Michael leads our Praise Team—scheduling volunteers, choosing music, and coaching the musicians to their fullest potential. Michael is a 2016 graduate of Berklee College of Music in Boston. 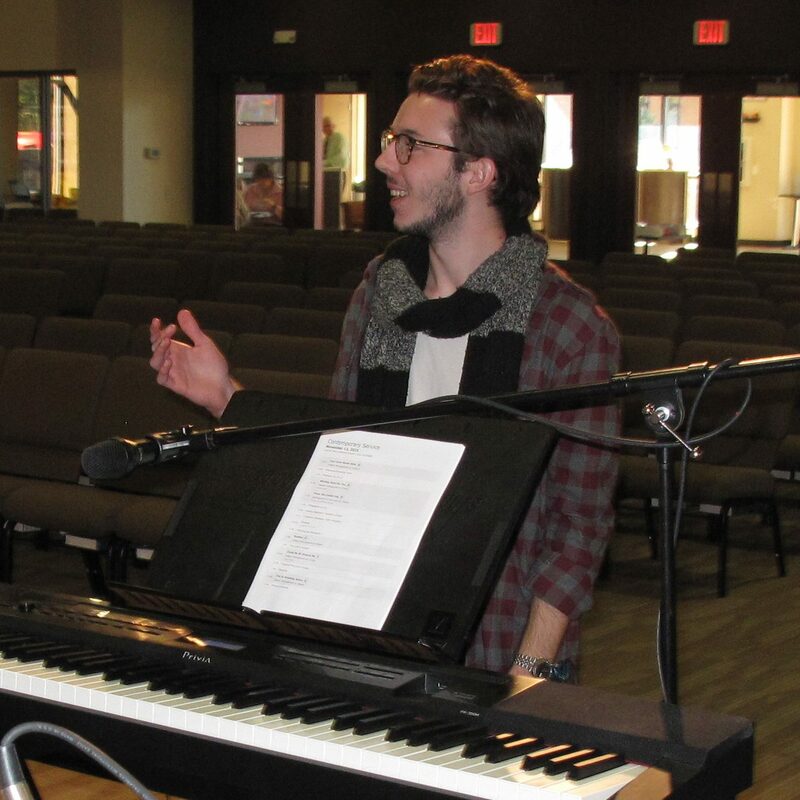 When he is not at church, he is busy teaching private piano lessons and working on his other passion—writing music for video games (or just playing them). While he was in Boston, he worked at an independent coffee house where he learned how to enjoy a good cup of joe—so you may find him hanging out at Something’s Brewing in downtown Grayslake working on the week’s music planning. 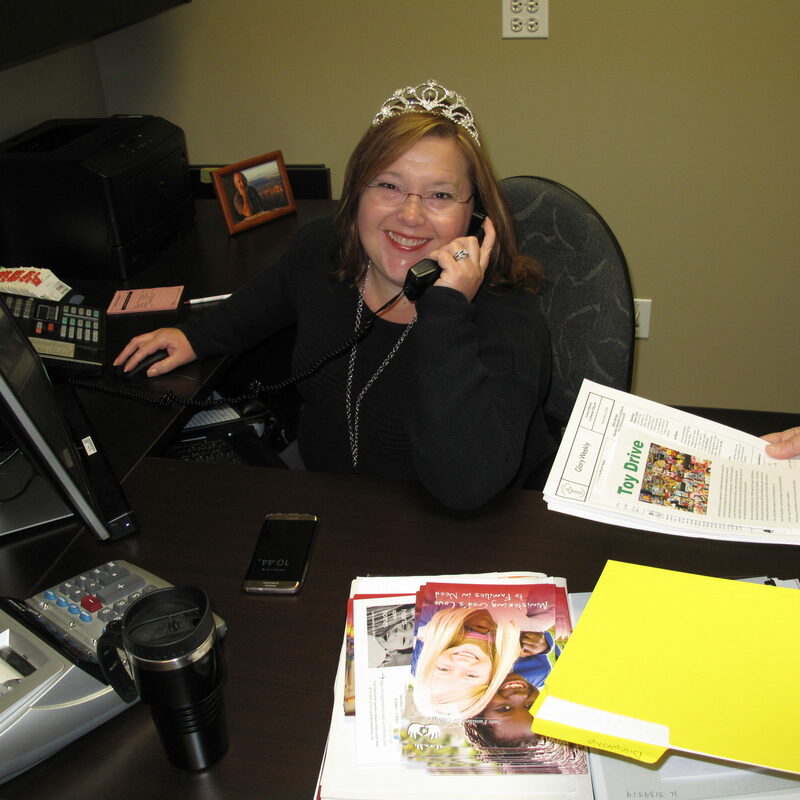 Some people have called Cindy the “queen” of the office—in fact there is a tiara on her bookcase to prove it! Cindy works with all the church staff, vendors, Church Council, volunteers, and members to be sure everything runs efficiently. In the same day Cindy can be found greeting someone who just walked in looking for a listening ear, plunging a toilet, and running the payroll. There is nothing she hasn’t done (other than preach). Cindy is celebrating life as a newlywed with her husband, Larry. Cindy has two adult children, Corinne and Michael, and enjoys a wonderful relationship with them. Cindy is also a nature lover, enjoying camping, or even just hiking in McDonald Woods—which is conveniently located in her new backyard! Dennis is a gifted musician who shares his talents each Sunday at our 8:00 a.m. service. Dennis has been our Organist since we moved into this building and started worshipping in the multi-purpose room. Dennis is happiest when he’s playing large pipe organs, and he does so whenever he can! He studies organ with Lee Nelson and is a member of the North Shore Chapter of the American Guild of Organists. Dennis has an M.B.A. from Lake Forest Graduate School of Management and works full-time as an Executive Consultant. As often as he can, Dennis loves to travel the U.S. and abroad, particularly Europe. His other interests include food, fitness, and investing. Donna loves children—all of God’s children. She is an avid supporter of children with special needs, even volunteering at the SMA conference every year. 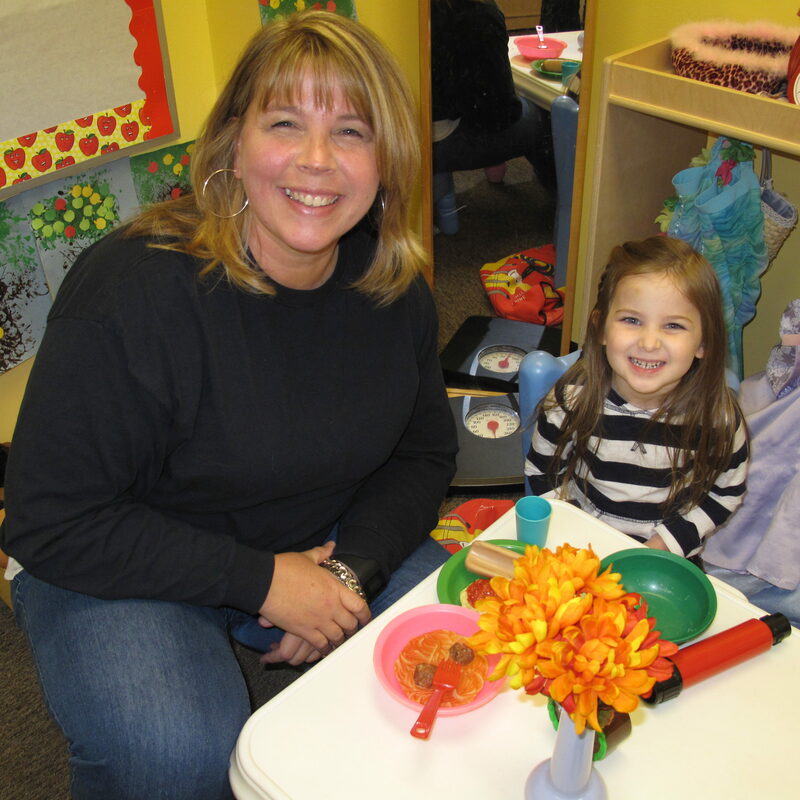 Donna is a true blessing as our Gloryland Preschool Director, loving on the children and their parents, and managing a large staff of teachers. Donna and her husband, Brian, have 2 children, Luke and Christine, and a fluffy little dog, Ginger. In her spare time, Donna loves to hang out with friends, enjoying music (mostly Bon Jovi), or her favorite sports team, the Chicago Black Hawks. She dreams of being married to John Bon Jovi (it’s ok, Brian is aware and loves her just the same)! 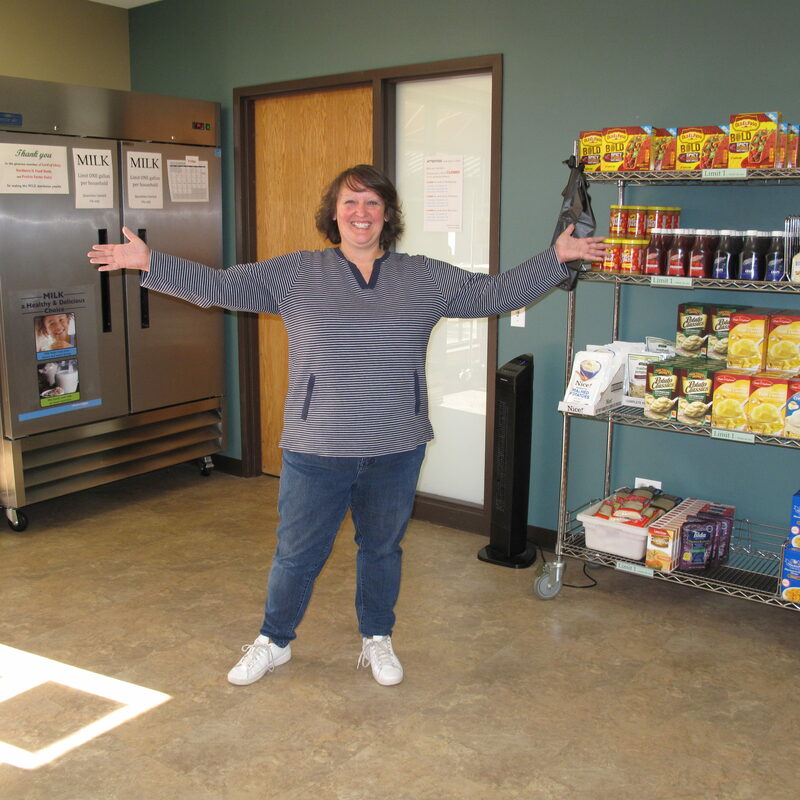 Karyn is the champion of our food pantry! She has taken what was started in a small closet and made it what it is today—a place where anyone who needs help with food can come and feel welcome to get what they need. She manages a whole roster of volunteers, relationships with multiple grocery stores and gas stations, and does it well! Karyn is married to her college sweetheart, Mike, and they have 3 children, Ryan, Greta, and Ethan. When she is not busy stocking shelves, Karyn enjoys hanging out by the pool in her backyard—which is why she is always so beautifully tan in the summer! When you walk into the church office, the first smiling face you see will likely be Darlene’s. 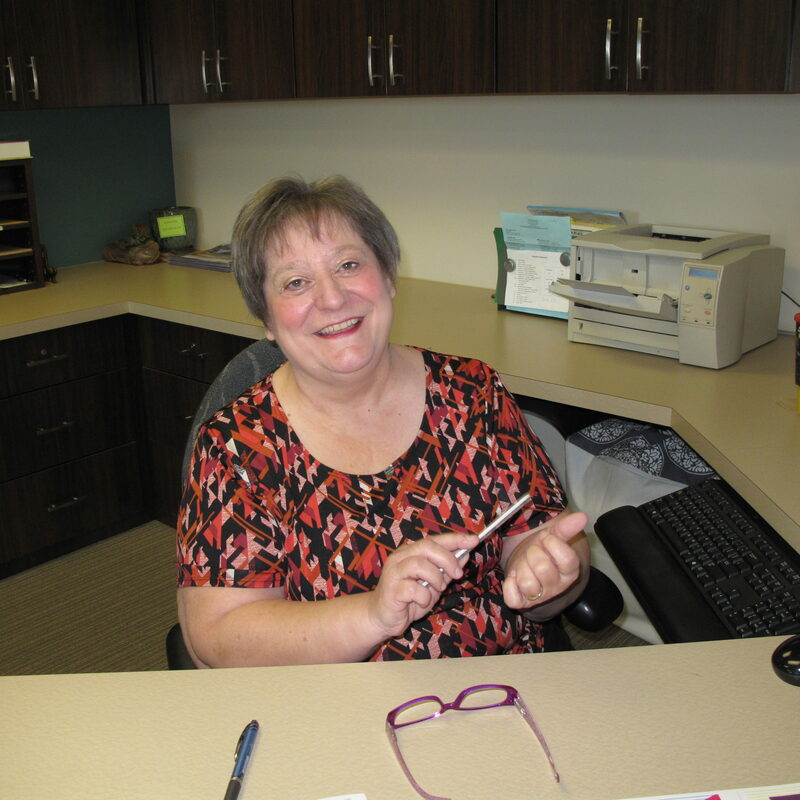 Darlene runs the front desk, answers phones, prepares our bulletins for Sunday mornings, and much more. When Darlene is away from the office she enjoys caring for her husband, Mike, children, Matt and Sarah, and their beloved dog, Buddy. Most weekends in the summer she and Mike like to get away to their “summer home at Lake Geneva.” They permanently parked their camping trailer in a beautiful campground and enjoy the peace and tranquility of life at the lake. Jesus loves the little children—and so does Corrine! 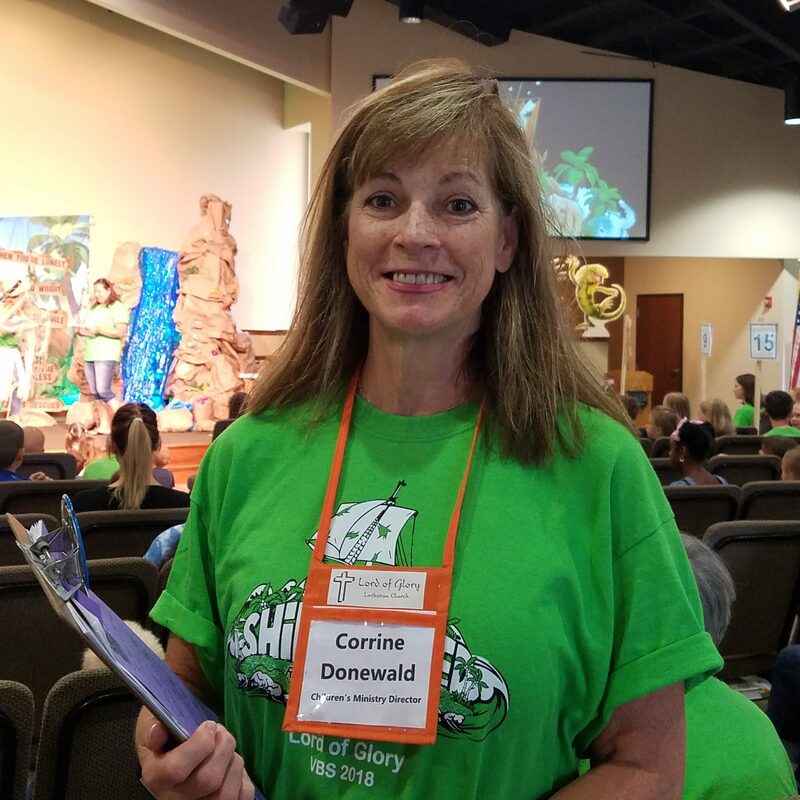 Corrine leads our Children’s Ministry program, including Sunday School, Vacation Bible School, Nursery, Kid’s Kingdom, and special events throughout the year. She works closely with all the volunteers to bring the “Think Orange” concept to our youngest members and their families. Corrine and her husband, Kent, have 2 adult children and are enjoying the freedom that comes with that. They love to travel across the country visiting with family and exploring the blessings of God’s creation! Nicki has completed four years at Concordia University, Chicago, where she studied to be a DCE (Director of Christian Education). We are blessed to have Nicki with us for a one-year internship, which will complete her education. This year she will primarily work with our youth group, but will also engage in all areas of our ministry. 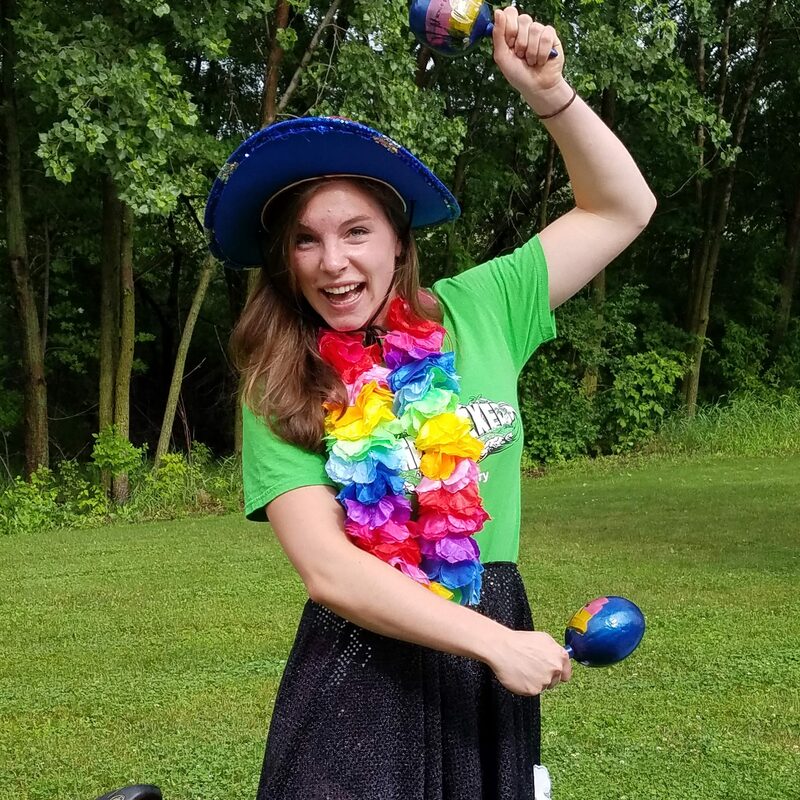 Nicki is a wonderfully energetic addition to our staff team! She loves the Lord, loves youth ministry, and loves all God’s people. She enjoys many sports, including lacrosse, golf, volleyball, skiing, biking, and more! Miguel and Elena lead Iglesia Casa de Restauración, a Christian congregation who we are blessed to share our building with. 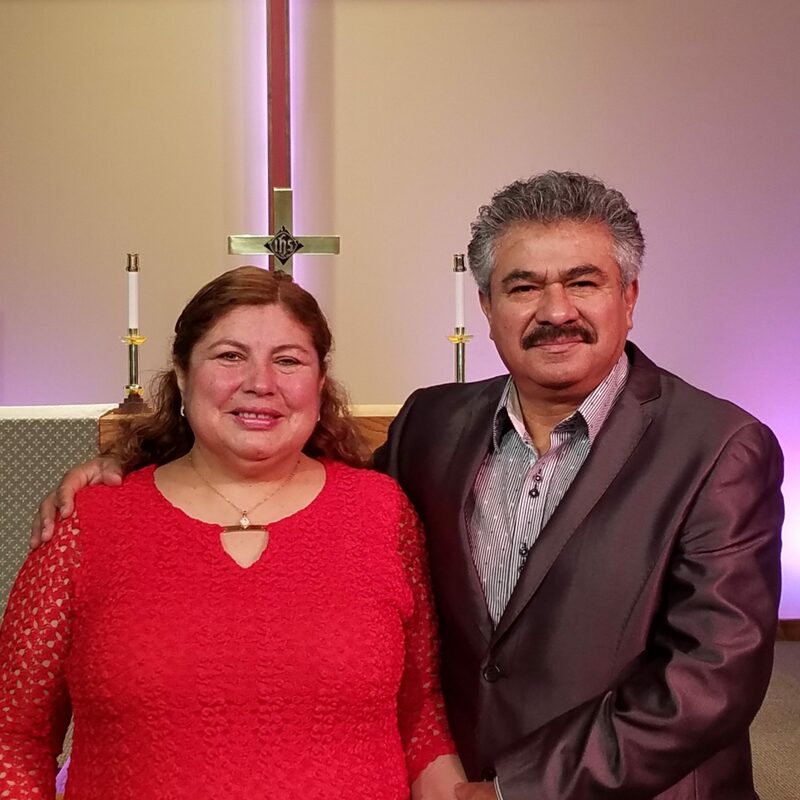 Miguel and Elena are a husband and wife team who preach, teach, and lead worship in their native language—Spanish, and it is a beautiful thing to see! Besides the twice a week worship services, Miguel and Elena offer different times of discipleship and prayer meetings throughout the week. When Miguel and Elena pray, you know God is listening! Miguel also owns his own painting business, and is often seen around Lord of Glory beautifying the spaces that our churches together call home!